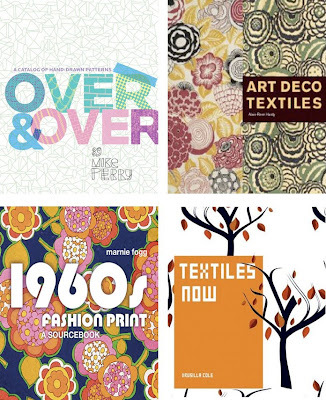 Recently I've been enjoying textile books and find them to offer some *serious* design inspiration. There are some incredible color combinations (eggplant and pink - why not?) and also dynamic themes. If you are looking for a burst of color in your small space, definitely check out any or all of these. Fun! Ohhhh so jealous that you are there! I miss NY and Soho so much sometimes! Go to Pepe Rosso for me - yum!! Now that's a small space.